Set up your own customized online time tracking system to track your employees' hours using smart phones. We have the solution to relieve the stress and head aches that come with collecting timesheets and tracking labor on your projects. We understand the Construction Industry and the problems faced when collecting timesheets. Our Online Timesheet System is easy to set up and intutive to run. Never stress about time tracking ever again. No more lost time, no more paper timesheets, no more hassles! Configure your own online time tracking system with us and collect your employees’ time sheets with our mobile web application using smart phones or any internet capable device. 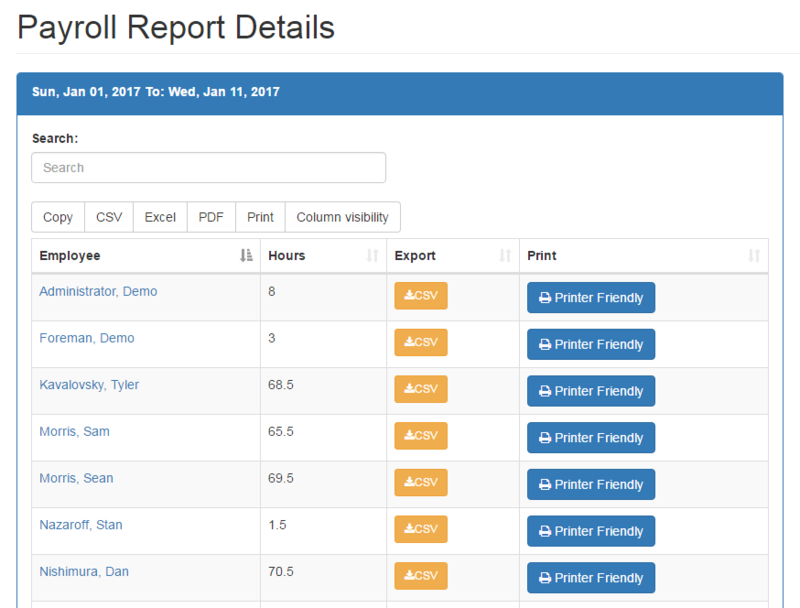 Run detailed reports for payroll and billing and export this data to a spreadsheet right on your desktop. Dead simple, intuitive, and user friendly. We are saving even the smallest construction companies THOUSANDS of dollars each month. Successful companies are organized companies. Stay ahead of your competition. Try it out for free and let us show you your cost savings in real time. If you have any questions please feel free to get in touch – we’re always here to help. FREE TRIAL SETUP - STEP 1. Enter your email below and then click the "Save and Continue" button. Step 1. Enter Your Email. Enter your email and proceed through the wizard to set up your very own custom online time sheet system. 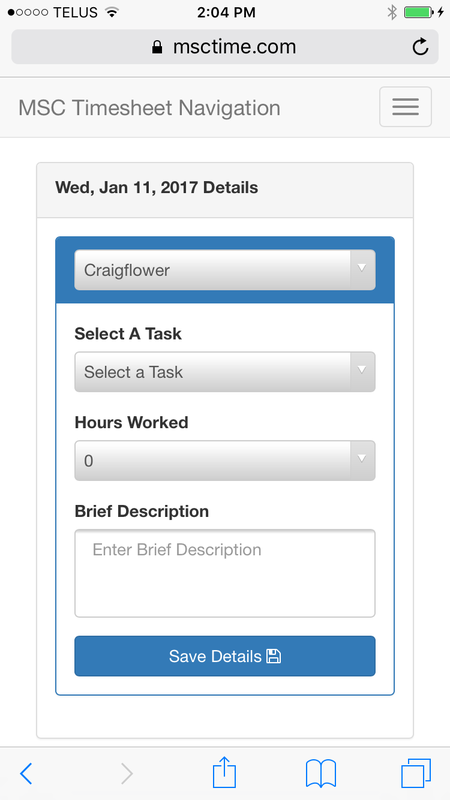 It only takes a few minutes to go through the 6 steps and you and your employees can be submitting time sheets with mobile devices. Our system is user friendly and intuitive. Users simply log in and the interface takes care of making entering and reviewing timesheets a breeze. 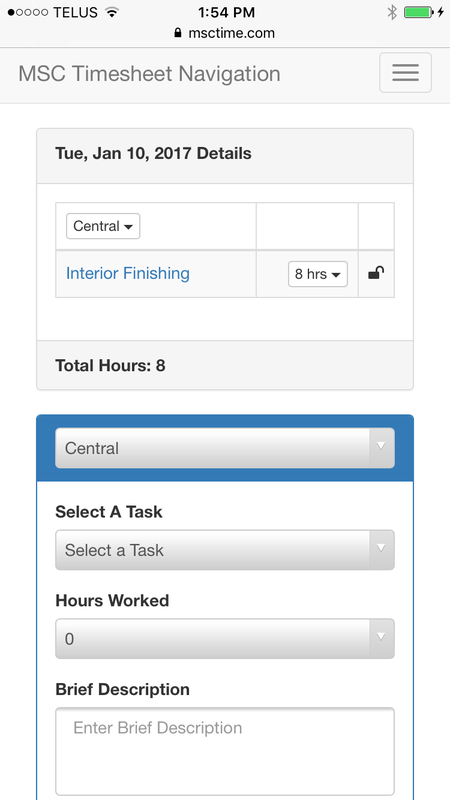 MSC Time Online Timesheets was custom-built for construction and trades companies. When logged in as an Administrator, you will be able to run powerful Payroll reports detailing how many hours each employee worked, what day was worked, which tasks were performed, and a brief description of the work completed. 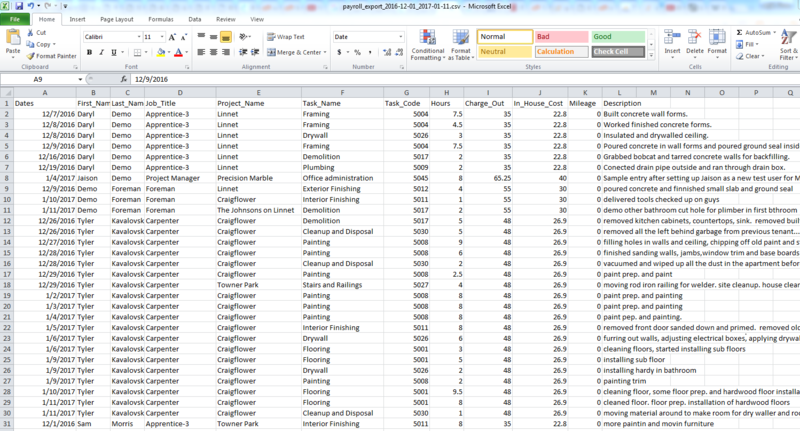 Using the Billling Report Module, an Adminstrator can view and download a billing report for any project. These reports are broken out by job titles such as foreman, carpenter, painter, electrician, etc, date, tasks, task codes, employee, and work description. Also as an Administrator, you can export all of these reports into an excel spreadsheet, a csv file, a pdf file or even copy the results to the clip board. 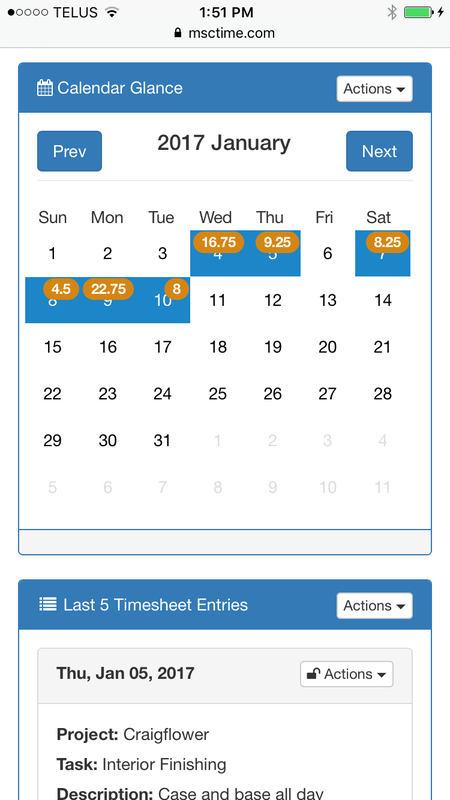 Glance at your calendar to see the days that you have already submitted timesheets for. Entries are made fast by utilizing pre filled drop downs. 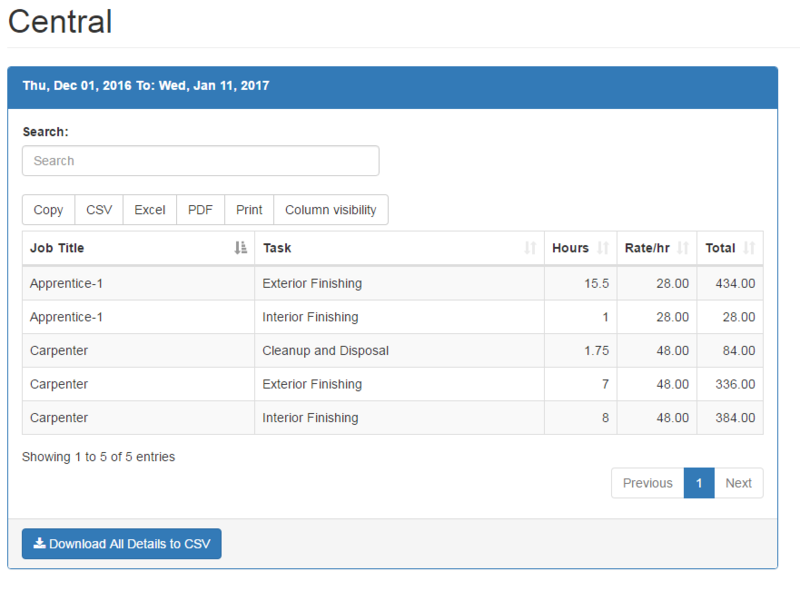 All details are presented on a single view so you can see multiple jobs and tasks for one specific date.